In January 2018 executive director, Meredith Ayan, and program manager, Lori Kalef, along with 8 volunteers travelled to Beirut, Lebanon where 25 dogs were waiting to finish their long journey to the United States. All of these pups are now safe and sound in their forever homes. They are enjoying the sweet life and you can see it for yourself in this celebratory rescue photo gallery. 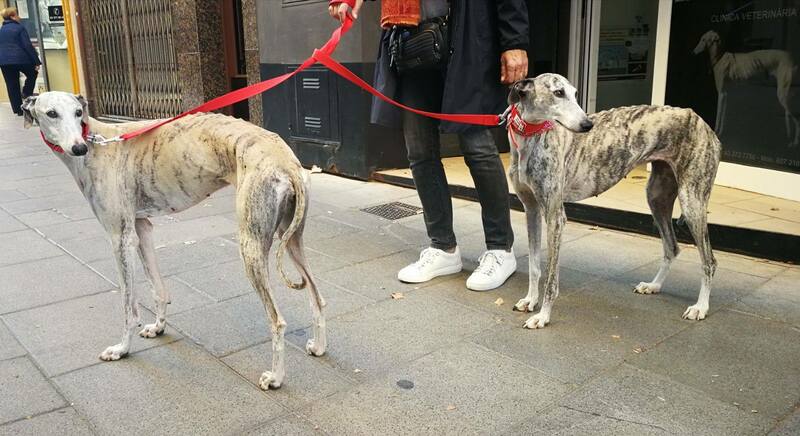 SPCA International has been dedicated to fighting the systemic abuse of Spanish Greyhounds (Galgos). As those efforts continue we are also supporting the rescue, rehabilitation and rehoming of Galgos and podencos that are abused, tortured and abandoned. The 2017 hurricane season devastated the island communities of Puerto Rico, St. Thomas and St. Martin. Through SPCA International’s Disaster Relief Fund organizations in these areas received critical support to continue their important work. Members of the U.S. military stationed on bases all over the world befriend local animals during deployments that become their companions. But they are often forced to leave them behind when their deployments end. Operation Baghdad Pups: Worldwide program was founded in 2008 to rescue and reunite these patriot pets with our service members in the U.S. To date we have rescued over 800 animals from multiple countries in the Middle East, Central Europe, Southeast Asia and Africa.